Goals for the Assignment: Students will work individually to create a slab functional pottery set. The details/styling will incorporate the student’s understanding of shape, color, texture, pattern and unity. The set will be made of at least two pieces that cohesively belong to one another; sharing similar attributes. 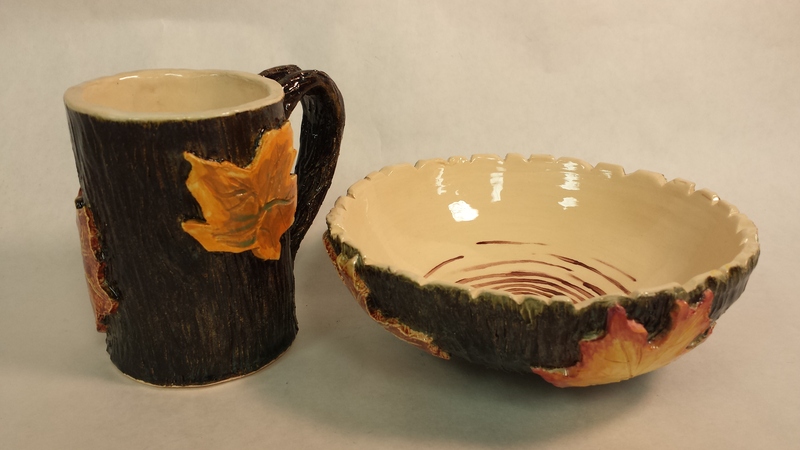 The set will be glazed with same final treatment of glaze of the student’s choice.